This was stunning. This was fantastic. This was a master class in how to do action storytelling in a way that dials up the drama and makes the payoffs so satisfying. 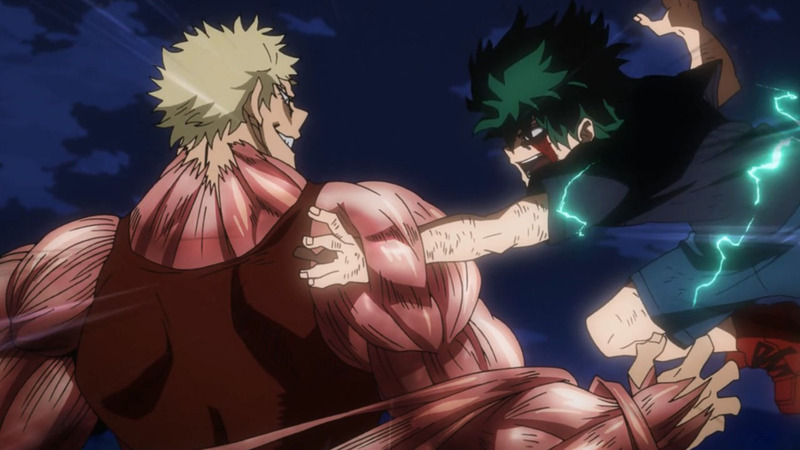 There’s a lot that’s remarkable about Boku no Hero Academia; I will, to my dying day, say that much of its success is owed to its simple yet dynamic premise that gives it so much room to grow. But a good idea is but one small part of the puzzle. 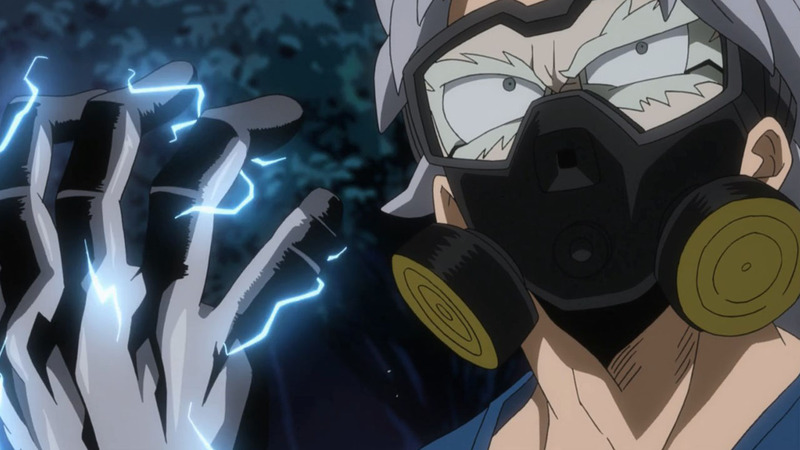 The main reason for this series’ success is that Horikoshi-sensei knows how to tell a godsdamned story, he has the beats down cold. 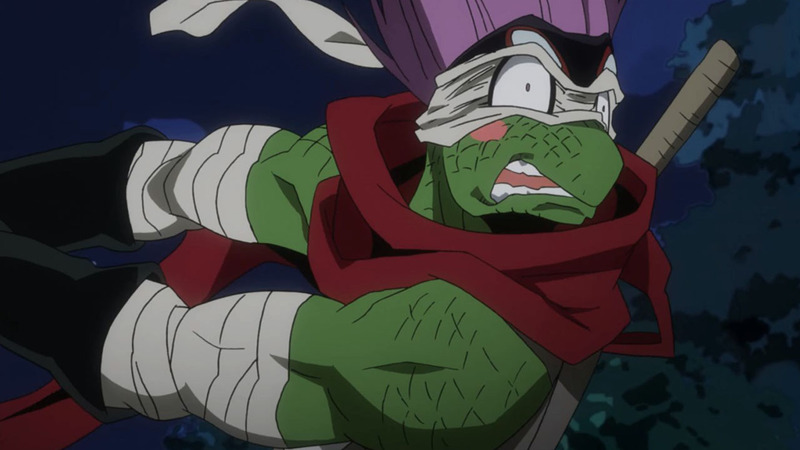 This episode is that in a nutshell. 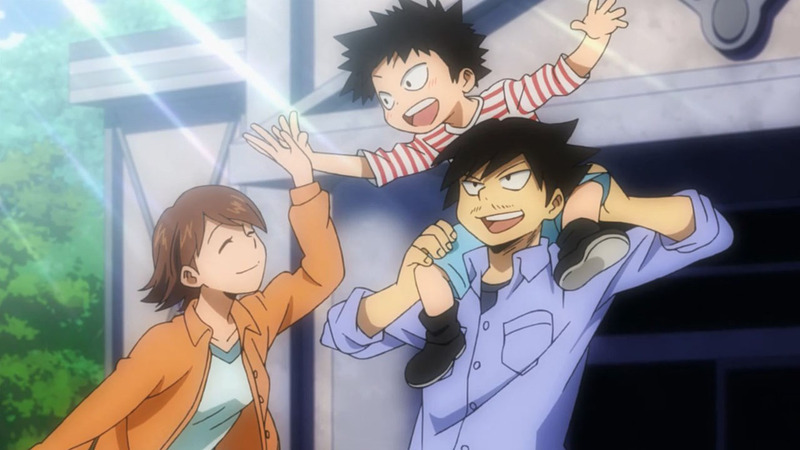 Take Kouta-kun. 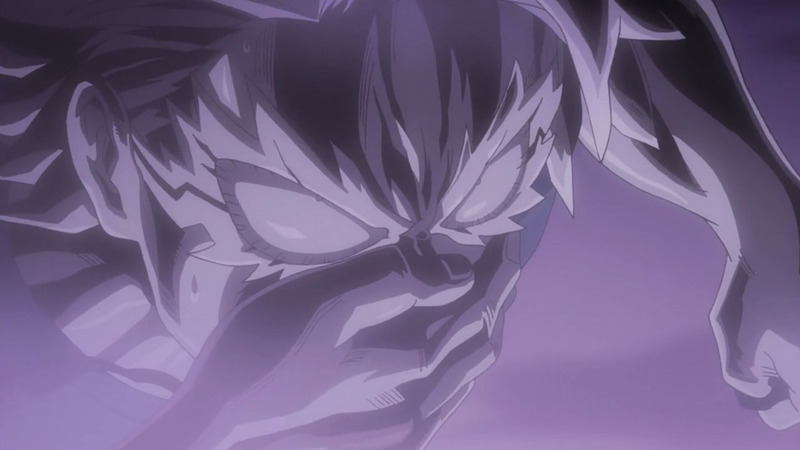 It was obvious where Kouta’s storyline was going from shortly after he was introduced, but that didn’t stop it from being effective. 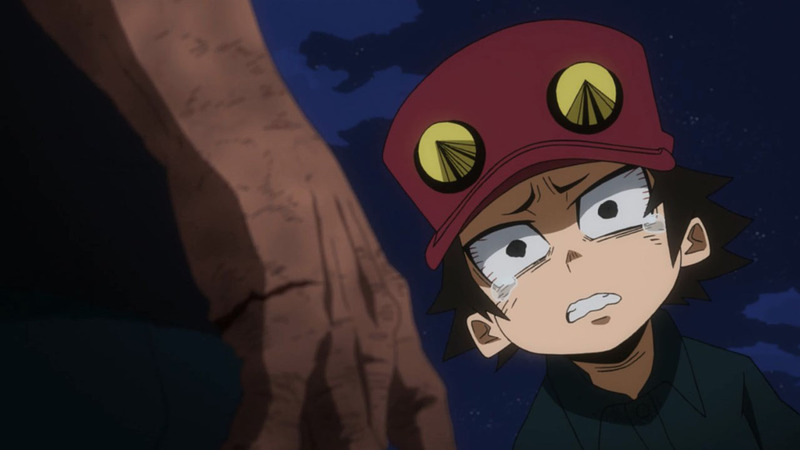 His storyline is aided by how it’s really a part of Izuku’s storyline, which means Horikoshi-sensei was quickly able to get us to care about Kouta, because we don’t really have to care about Kouta—we only have to care about Izuku, and let Izuku’s concern for Kouta carry over. It’s empathy by transference, a clever trick when a writer wants to explore a facet of a major character through the use of a new character—though it requires that the audience earnestly like the major character, and for it to be in-character for that person to care about this new person. 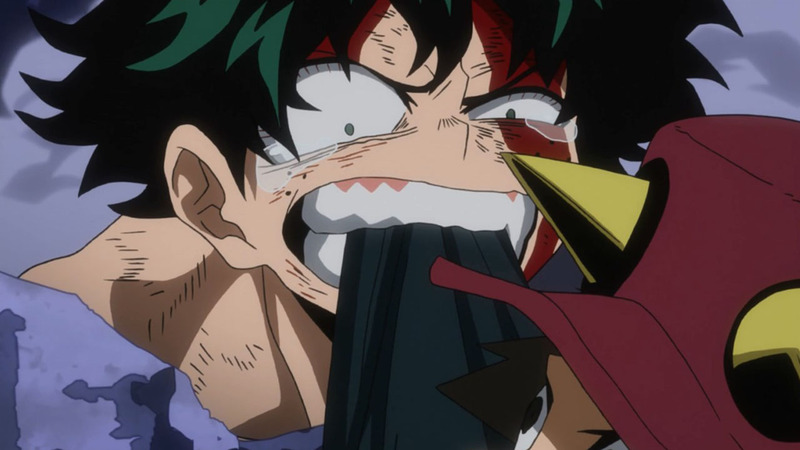 All of which are true for Izuku. 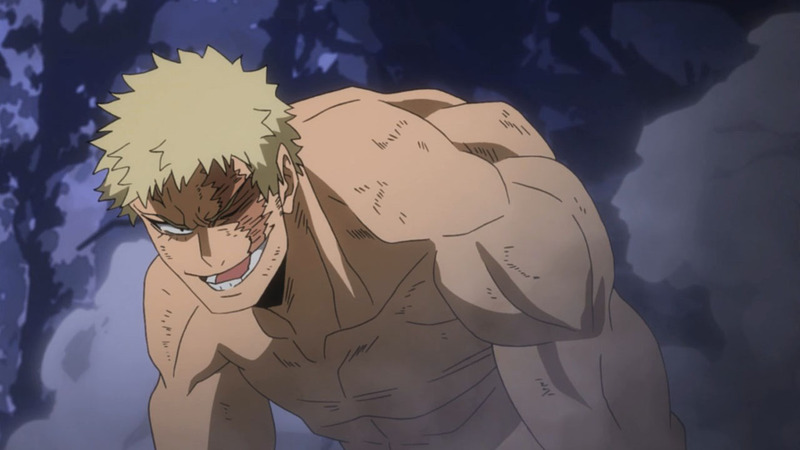 Then there are all the ways the odds are stacked against Izuku. 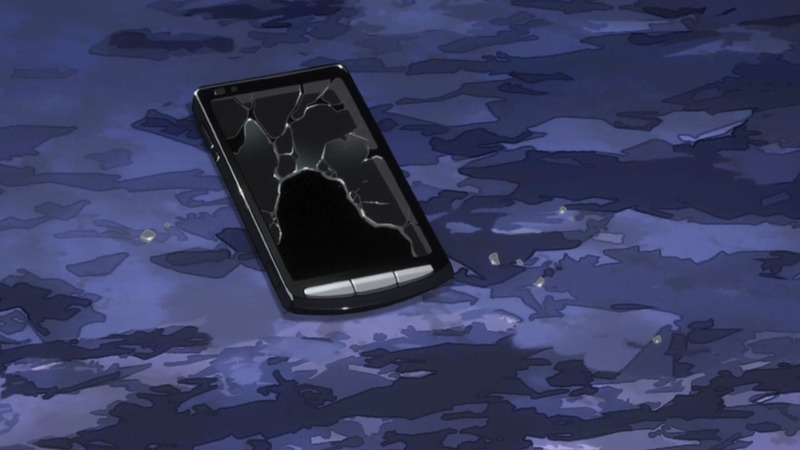 His cellphone breaks. 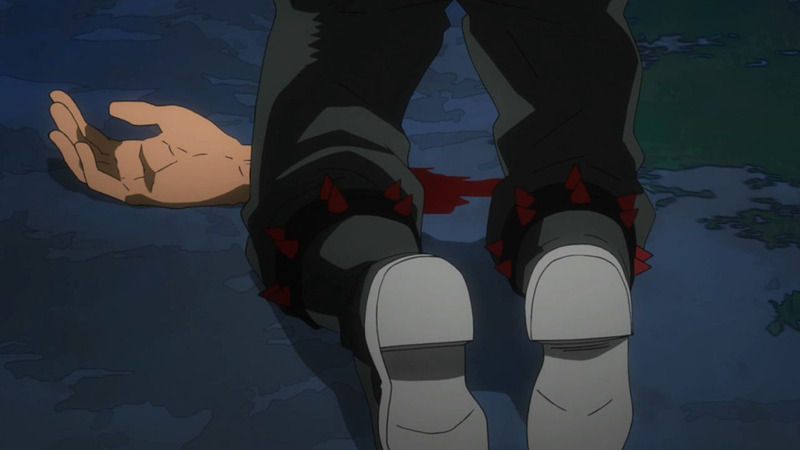 He gets battered around while he’s still trying to get his feet under him. 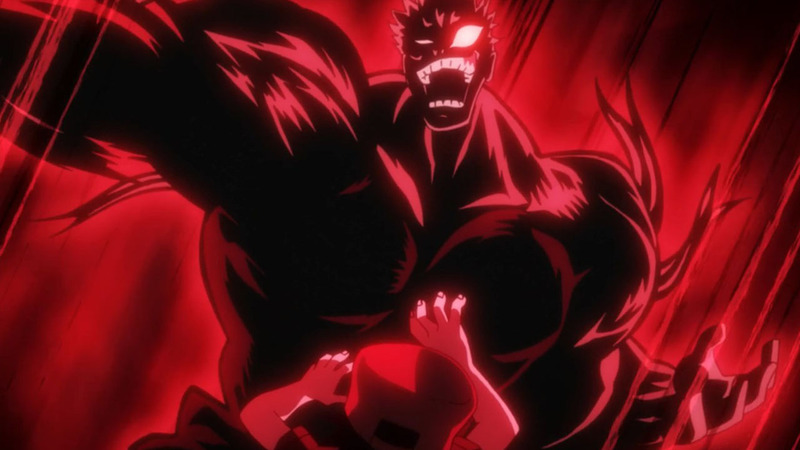 By the time he realizes how big of a threat Muscular (Takaguchi Kousuke) is, he’s already down the use of one arm and beat half to hell! 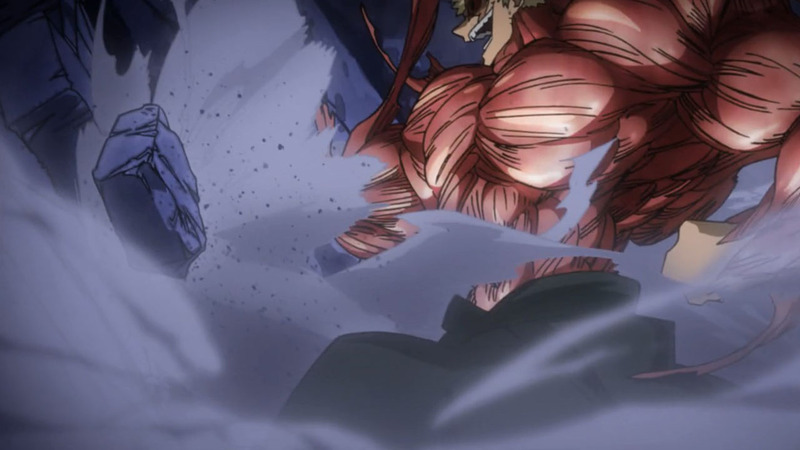 Then he burns out one arm in a 100% Smash that goes no where, and you find yourself saying to yourself: How!? 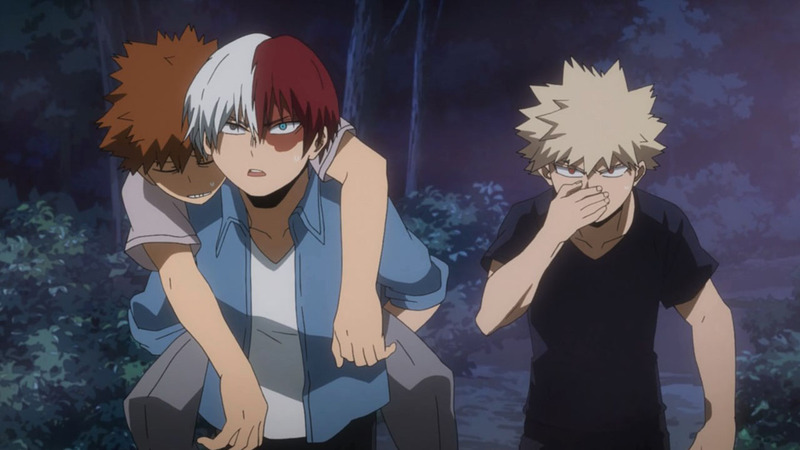 How does Izuku get out of this! 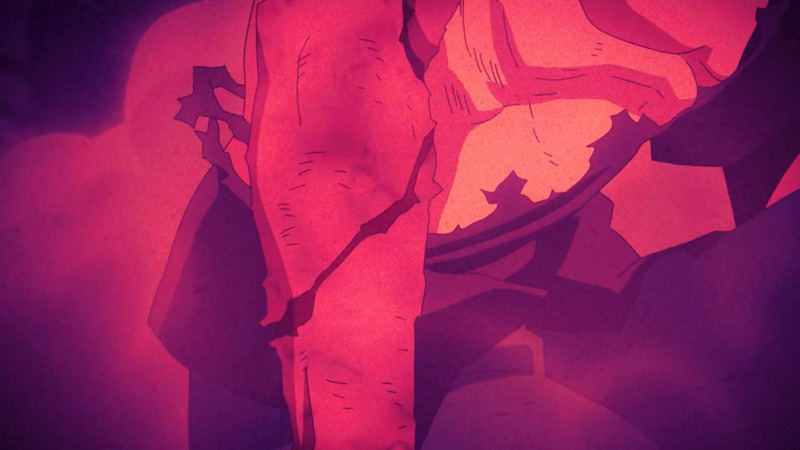 We know he’s not totally done, because we’ve seen him blow out parts of his body multiple times before (during the tournament, he blew out his fingers several times against Shoto). There’s still a chance. But his back is well and firmly against the wall. 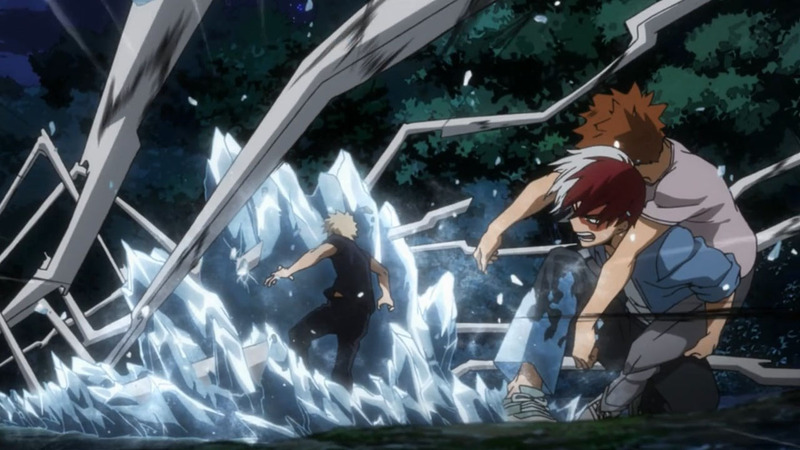 Horikoshi-sensei is methodically cutting away possibilities, backing Izuku into a corner just as he writes himself into one too. 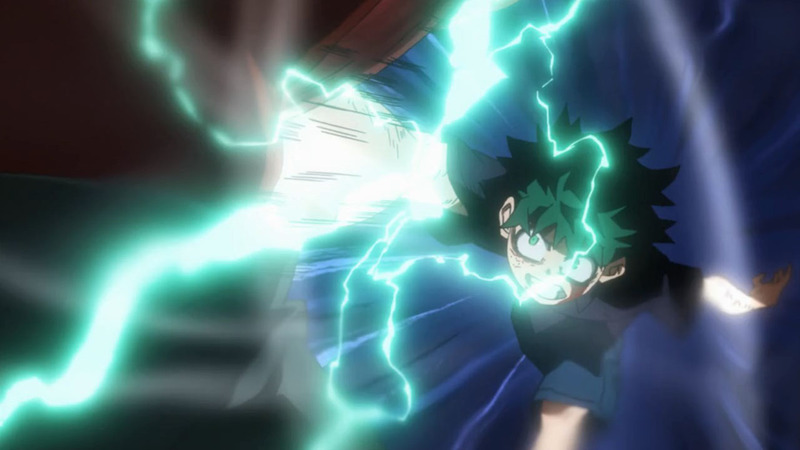 Best yet, he’s not cutting off all possibilities—there are still things Izuku can do. But we can’t be sure of that at the time. It’s only after the fact, after he’s already dug deep and pulled out power he had never used before, that we see the way out. It makes sense in retrospect that this would be possible, because we know his power kit. But in the moment, we can’t be sure. There are so many best moments. 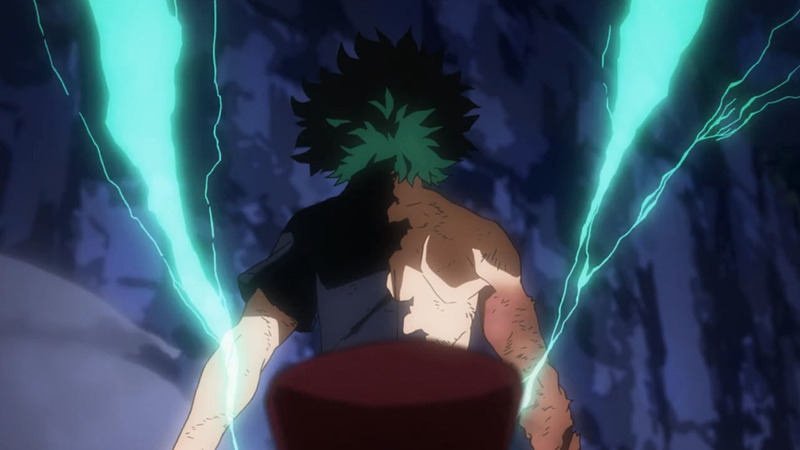 Izuku constantly beating back his fear is phenomenal, it shows how relateable he is (and shows his growth) because he’s freaking out but he’s still acting like he always has, but more effectively than ever. 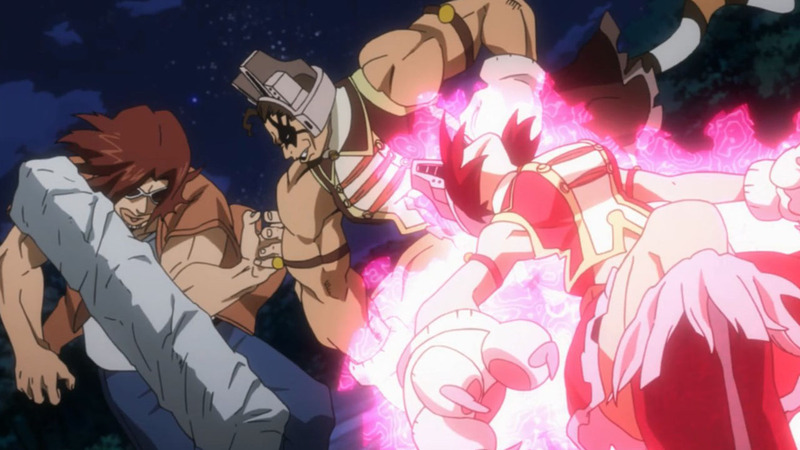 Him catching Kouta with his teeth was badass, it showed he doesn’t give up even when his arms are busted. 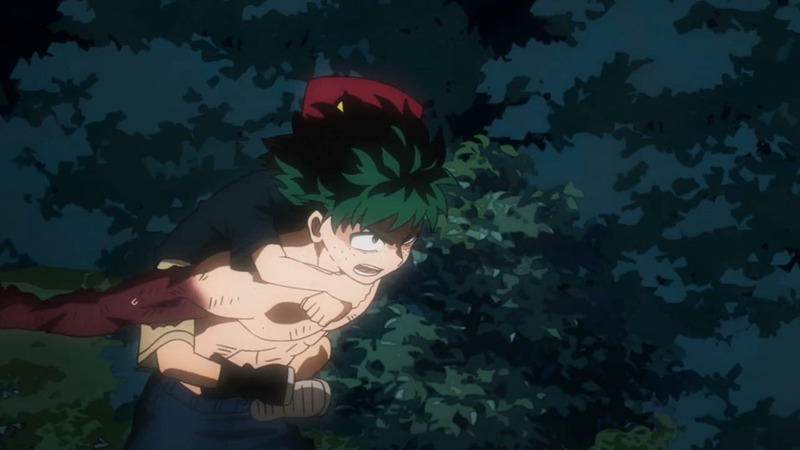 But the best section is undoubtedly the entire time from Izuku catching Muscular’s charge and refusing to let him go, to Kouta trying to help Izuku, to Izuku digging deep and punching the villain into another postal code. 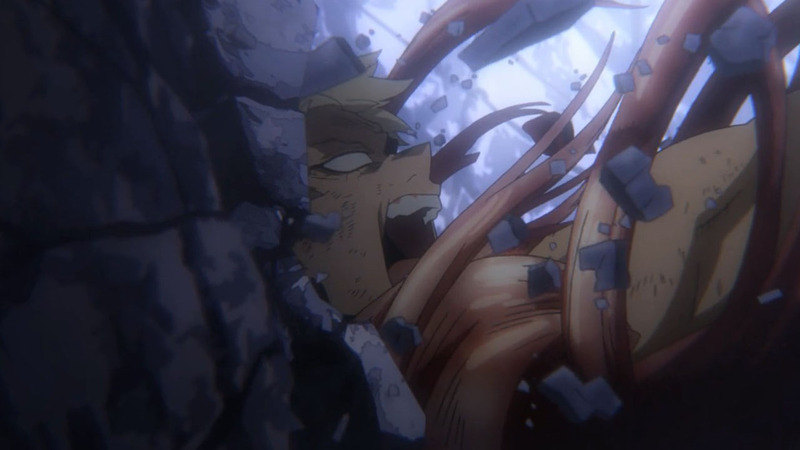 I wondered the whole time if Ragdoll would use her Search ability to come save them (another possibility cut away), or if Kouta secretly had a really powerful quirk that could bail Izuku out, but no. It was more simple than that. 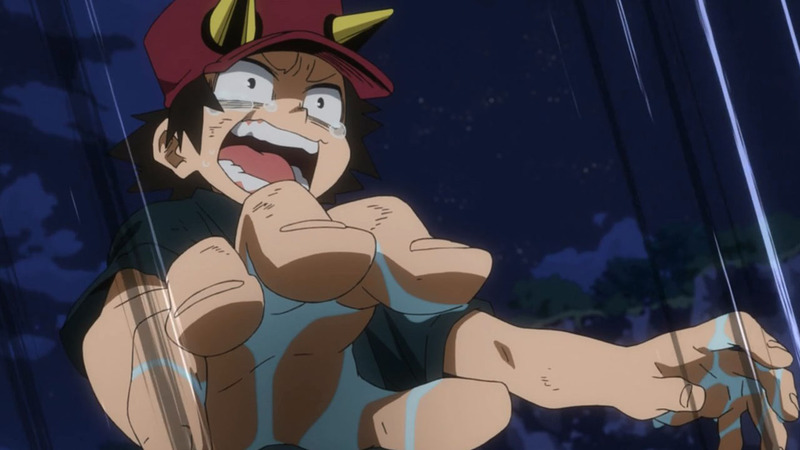 All that was needed was for Kouta to show that Izuku’s words (and actions) had reached him for Izuku to be reminded of what was at stake, and to dig deep for the power to succeed. 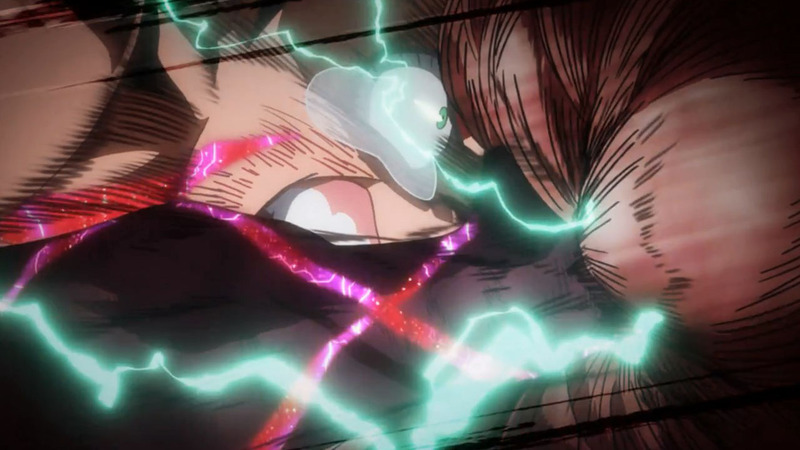 Kouta’s storyline all came together in a signature HeroAca moment of awesomeness that fired me up, gave me chills, and made me believe in heroes again. 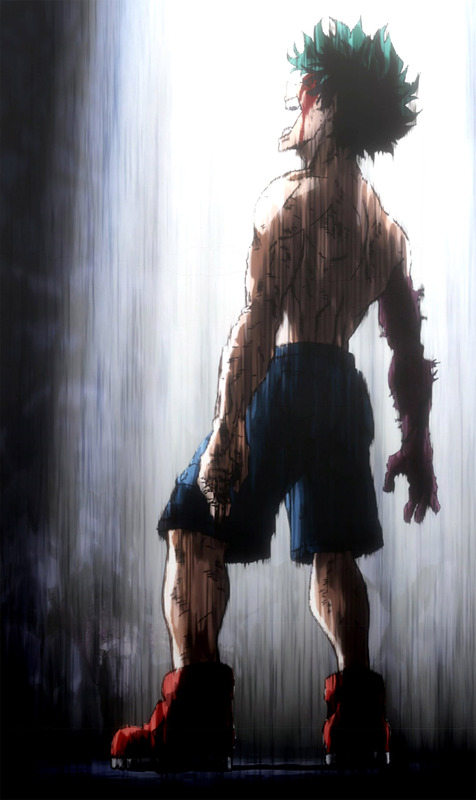 Add in everything that’s happening with everyone else, and this was a helluva episode. I expect next week to be amazing too. 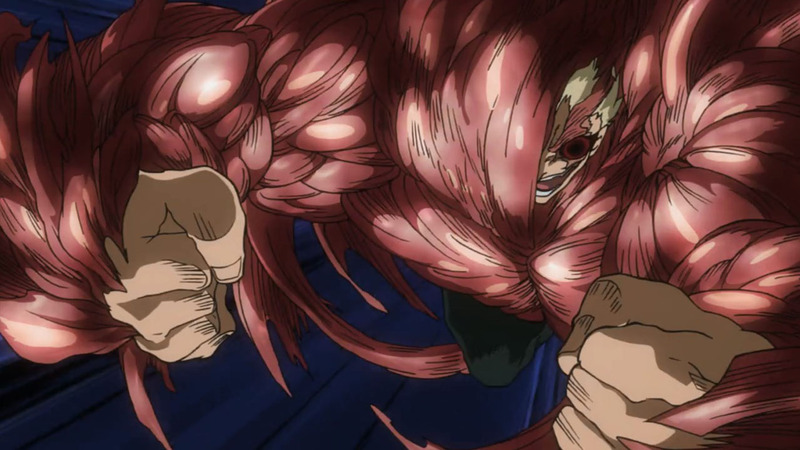 Another thing this series does really well is gives its villains actual philosophies. They’re repugnant philosophies, but they’re real, and that makes the antagonists more than cliches doing it for the evulz (trope!). After all, I can point to many times when real people have been motivated by repugnant philosophies, some from the distant history, some from the not-so-distant history, and some from the present day. 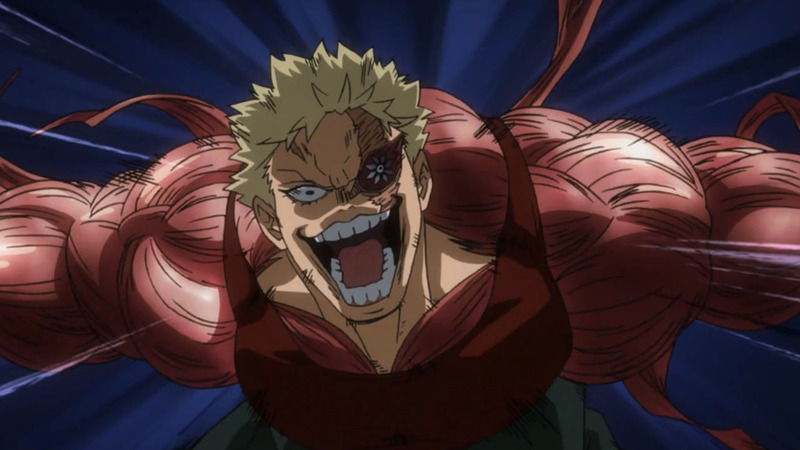 “A hero’s job is to risk his life to make the lip service into reality!” “Remember where you came from!” Chills, man. Chills. 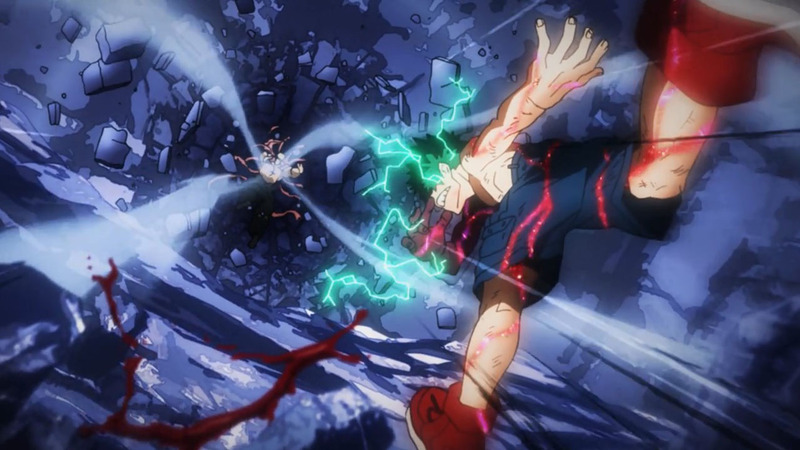 The part where he started saying sorry to him mom as muscular was punching him brought me to near tears, its easy to forget cause they have powers and are heroes but this was basically kid going up against a murderer that was actually trying to kill him(Stain iirc didn’t want to kill him iirc), it was a powerful moment to say the least. Amen. 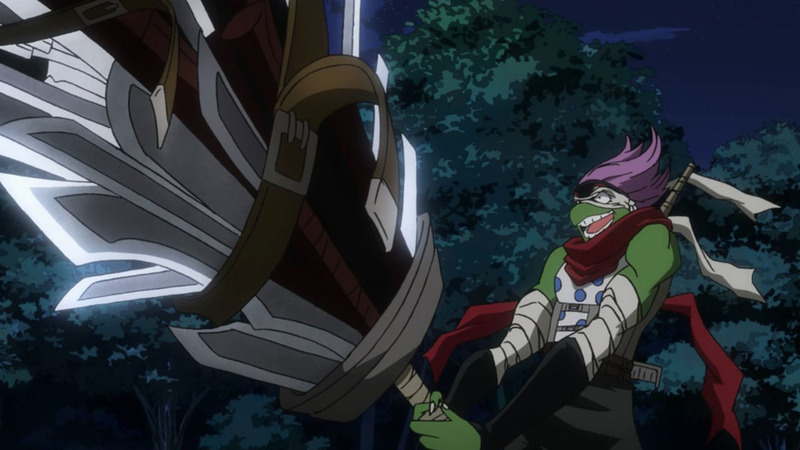 Though to be fair, Stain definitely wanted to kill Iida, so that was harrowing from a different vector. 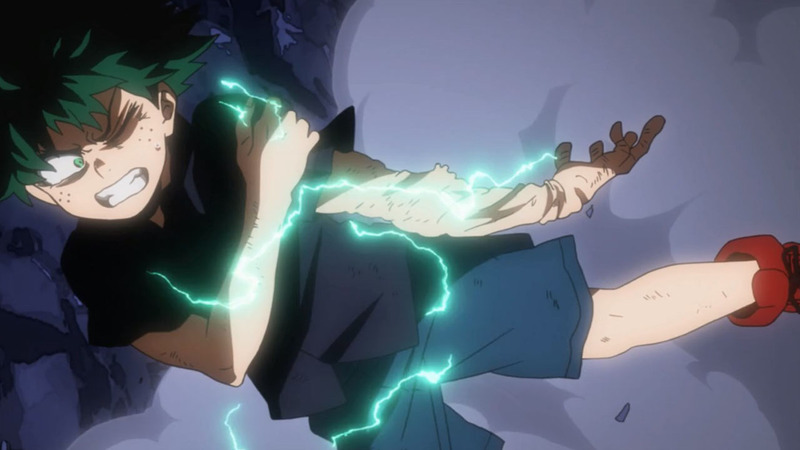 Deku’s his last ditch effort to get Kota out of there telling him to run as he holds Muscular off all the while saying goodbye and sorry to his Mother and Mentor for failing knowing this might be end for him. Had me on the edge of my seat. Man, I was worried about the site. So glad it’s back up. 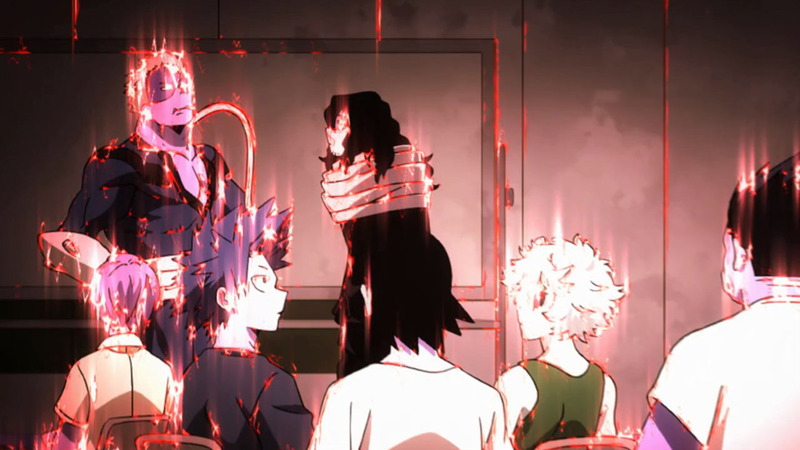 Just like Dumbledore had to start out as a student before he became a teacher, All Might had to start his inspiring nature one person at a time. 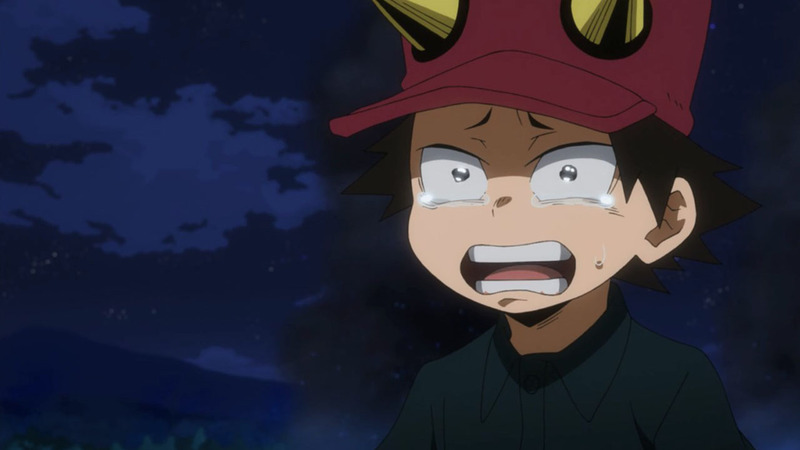 For that to come to Izuku this early, and for it to be with Kota… that just brought tears to my eyes, man. Perfection. 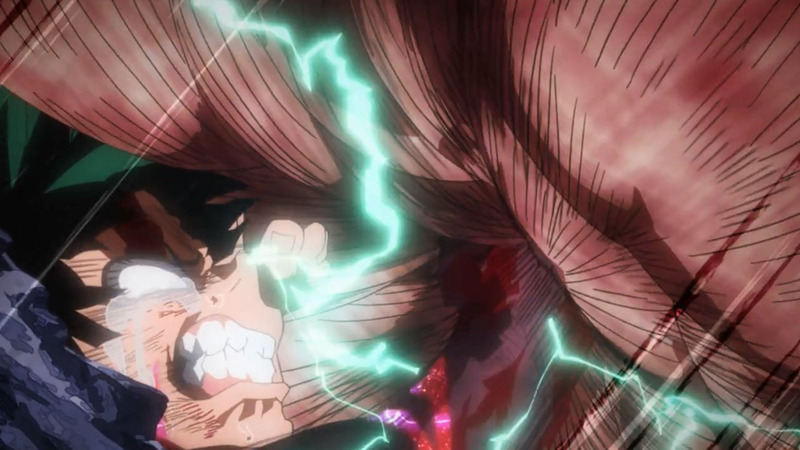 This is certainly one the best episodes of the show so far, if not THE best! 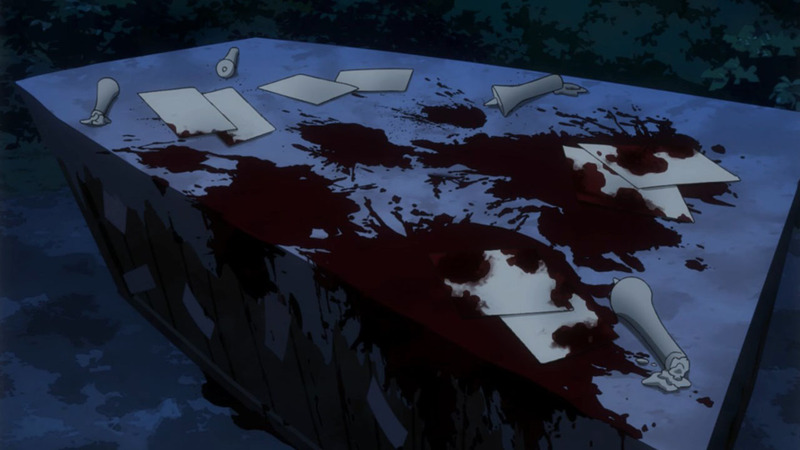 So much blood… Seriously, are people actually dying?